Like politics, pro football these days has a shorter attention span on the daily newsreel. 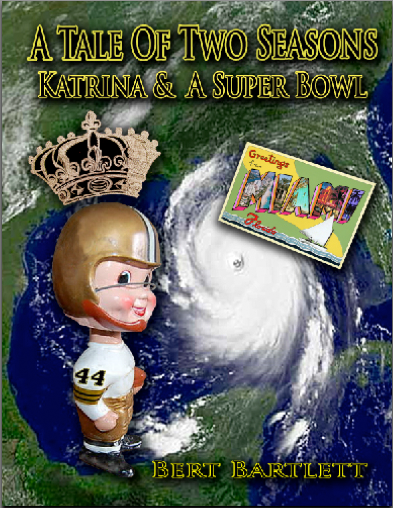 Which is not to say Greater Nola and beyond would like to see the Saints’ festive season conclude Sunday evening. And there is a chance it won’t. Las Vegas set the Vikings at 3.5 point favorites, a tad low considering how easily the Saints lost up in Minnesota back in Week 2, and how steady eddy the Vikes have been at maintaining the NFC’s second seed. Which hints that handicappers think it will be close, or that the underdog can win. With some season ending kinkiness and tanking in the conference determining tournament seeding, the preference was the Saints would be in Philly this weekend, less their injured starting quarterback, budding star Carson Wentz. But it’s unavoidable; a road to the Super Bowl goes thru Minneapolis. So the Saints may as well get on with it. The Vikings are probably the most solid, balanced, and consistent team in the league. Defensively, they are particularly sticky, making this match up a difficult one for New Orleans. Yet former scrub and now fiery producer, Vike quarterback Case Keenum, is untested in the playoffs. The key to the game for the Saints is to put pressure on him and make him earn everything he gets. Tight end Kyle Rudolph lurks as an effective weapon for them, better not left under the radar by the Black & Gold. Until 2017, the Saints had been in a long term bear market as far as joining the rest of the NFL with a semblance of a pass rush. The turnaround on defense after that Week 2 loss in Minny has been nothing short of a miracle. The unit has had a nice esprit de corps going all year though it woefully misses injured linebackers and excellent free agent acquisitions A.J. Klein and Alex Okafor. Rookie corner Marshon Lattimore is already as good a cover guy as there is in the league, and his counterpart Ken Crawley has been respectable though picked on more as of late. Cam Jordan has gone from overpaid vet to lighter and quicker and born again pass rusher. Burly tackle David Onyemata (#93), who played in Canada, makes things happen. With plenty of injuries, the unit is back to giving up yards in batches, but it continues to be stingy in the red zone. Indeed, a field goal for opponents is as much plus 3 for them as it is plus 4 for the Saints. Offensively, the ground game is big time, moreso since the days of Deuce MaCalister, and Dalton Hilliard and Reuben Mayes before that. Though it was just shuttered by Carolina, the slice and dice of Ingram and Kamara must not be abandoned in the play calling on Sunday. A losing formula for New Orleans is running 16 times and passing 32, like it was in the loss to the Rams out in Los Angeles. Ted Ginn Jr. can get deep and Brees should go downfield often, even if just to loosen up this breed of Purple People Eaters 2.0 underneath. The Saints roster has suddenly gone from barren to ascending in talent, and includes a smattering of all pros young and old. It has also rejuvenated Sean Payton. It would be a shocker – and bummer – if the Saints stink it up or are error prone in a game that For Whom The Bell Tolls. They have been protective of the ball most all year and cannot afford turnovers up there. In a checkered year of appeal for the NFL, a needed breath of fresh air have been extended team celebrations after touchdowns and big plays. They have been team oriented and a welcome departure from the ego angst of a spike. The players have proven to be pretty good thespians too, whether doing the speed walk in Green Bay, or spin the ball and warm your hands over the open fire in Philadelphia. We like groupie St. Selfies, and hope to see more of them on Sunday. Geaux Saints! This team is talented, capable, and In It To Win It. Great analysis, as usual. I think you have it just about right. I would just add: the Saints need to limit the first quarter three and outs and not get pinned back deep in their half of the field. I’d also like to see some special teams love. The Vikings are the real deal…. but I’m all for letting the good times roll.